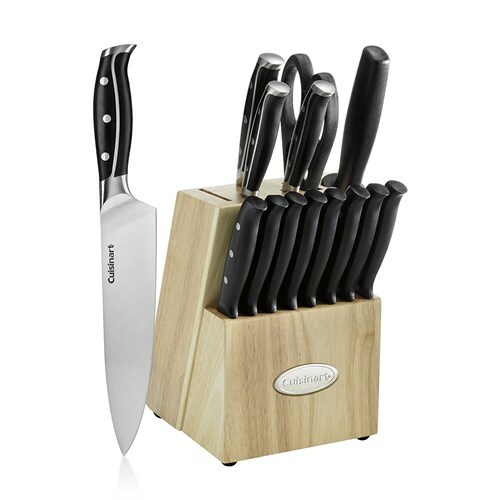 The Cuisinart C77TRN-15P is a 15-piece knife set featuring precision tapered ground blade for sharp fine cuts. The blade are made of nitrogen infused stainless steel blades, which makes it corrosion resistant. 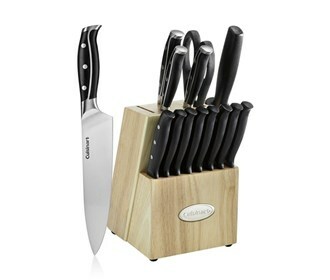 These knives are designed with ergonomic handles fro comfortable and balanced grip. This set also features wide safety bolsters offering stability and control. The Cuisinart C77TRN-15P has many exciting features for users of all types. See the Cuisinart C77TRN-15P gallery images above for more product views. The Cuisinart C77TRN-15P is sold as a Brand New Unopened Item.